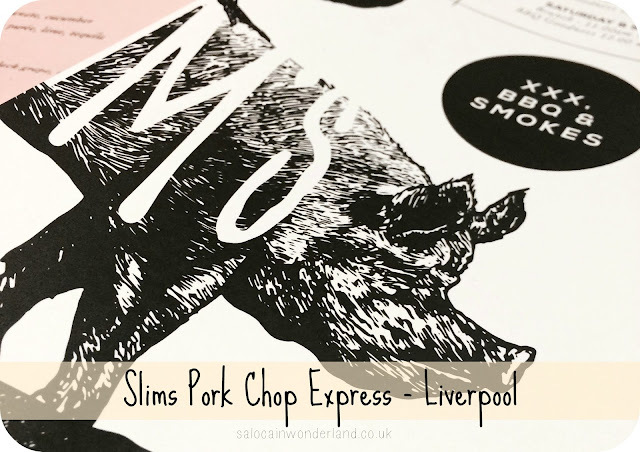 Nestled away on Seel Street is Slims Pork Chop Express. I have been walking past this place forever and a day with the intention of going in and getting my meat on. 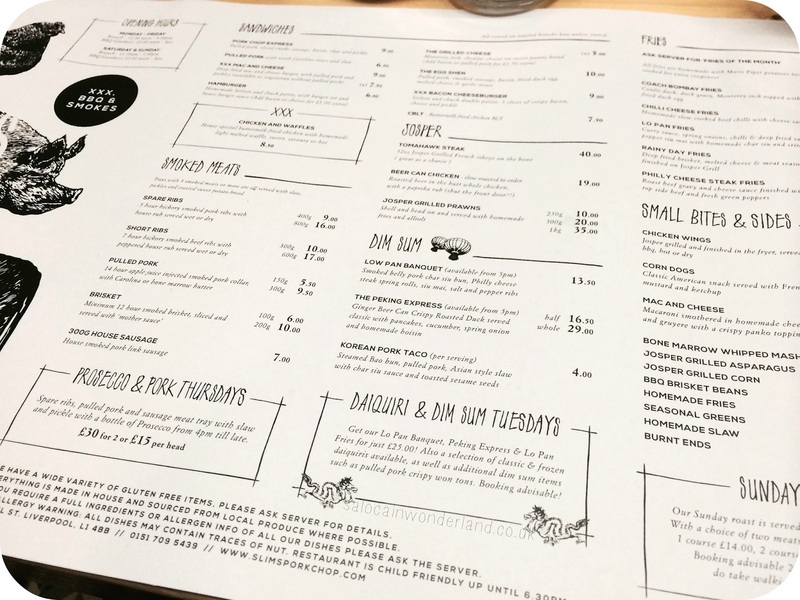 Specialising in tantalisingly tasty meats, smoked to beer can, dim sum platters and some of the most exciting fries I've seen this side of L1, you're going to want to be wearing your fat pants when you stop by for a bite. I took my foodie in crime, the Bro, along with me when I finally had a chance to stop by and give this place a try. He'd heard so many good things and was just the tiniest bit annoyed when I prolonged the meat feast by somehow getting us lost on Seel Street (it's a straight road and of course, I went right when I should have gone left, oops!). Backtracking, we eventually found our way to the correct front door and stepped inside (make sure you have a look at the floor, it's flippin made of pennies!). There's a small bar downstairs but upstairs is where the smokin' magic happens. We turned up around 1 pm on a Sunday afternoon, no reservation and a hunger begging to be sated. We had no problem getting a table, our problem was trying to choose something off the menu! I was torn between the ribs and the chicken and waffle combo. 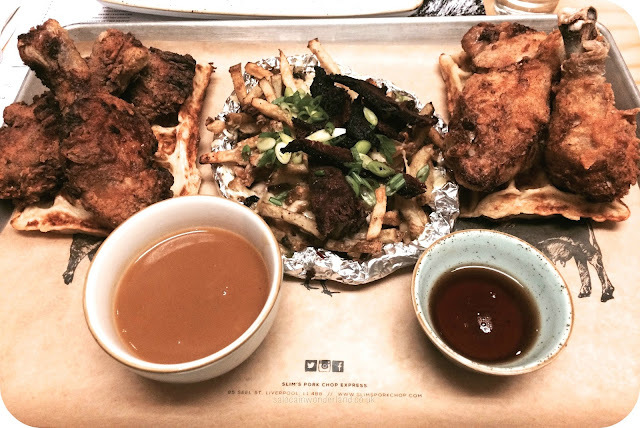 As good as I'd heard the ribs were, we both ended up ordering Chicken and Waffles, with a savoury dip, and rainy day fries - deep-fried brisket, melted cheese and meat seasoning. Friggin meat fries! Meat! The Philly cheese steak fries were a close contender, though. The restaurant itself has a really cosy, back alley diner feel about it, you know those types of places that look like they have been there forever, serving up the best short stack of ribs since man could cover things in BBQ sauce and smoke meat all day, every day. A popular choice seemed to be the Sunday roast, offering three courses for £20pp, and it looks absolutely delicious - I'm already making excuses to go back and try that! Our food came out pretty quick and the waitress has put both the sweet and savoury dipping sauces on our tray so we could try them both - and I'm so glad she did. She must have known I wasn't a totally savoury girl as the sweet sauce was absolutely delicious. My brother, being sweet enough (as if!) was well into the savoury sauce. Everything comes on a tray in the middle and you help yourself to whatever you want, great if you're like me and love trying a little of everyone else's food! House special buttermilk fried chicken, served on a malted waffle (so not a potato waffle, think something more dessert-like). We both got two very generous servings of chicken each on a giant waffle, with a mountain of the rainy day fries in between. Everything was delicious. The chicken was juicy and just fell apart as I cut into it. The coating was light, not too greasy and full of flavour too. It went great smothered in the sweet sauce. The waffle was very different as I'm used to potato waffles, it felt weird to be eating something more dessert like with chicken! 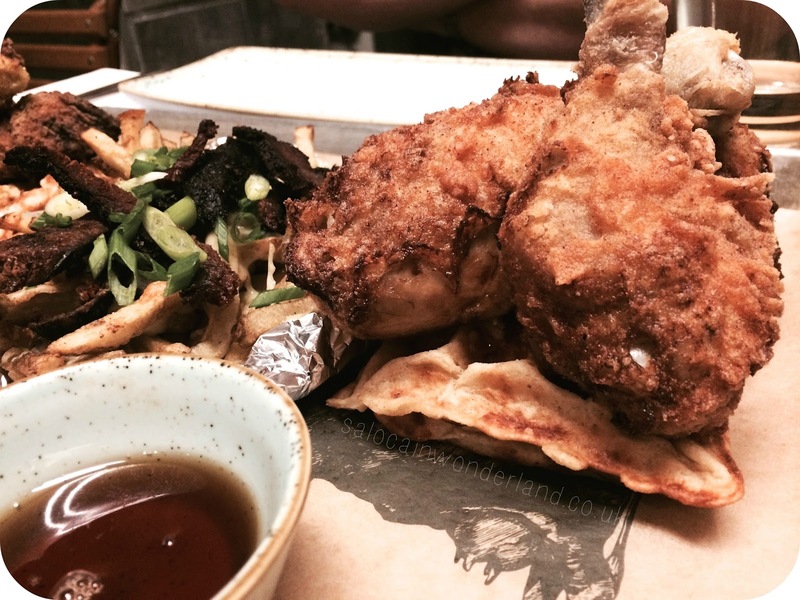 That being said, it tasted great and felt very American (There was a TV show on a few years ago starring Kate Winslett who opens a chicken and waffle empire, it was awesome and I can't remember the name of it! This meal is exactly what I imagined she was serving!). We cleared our tray, fries and all, (brisket in fries is the future people!) and left nothing behind. Bellies full, pants stretched, job done. 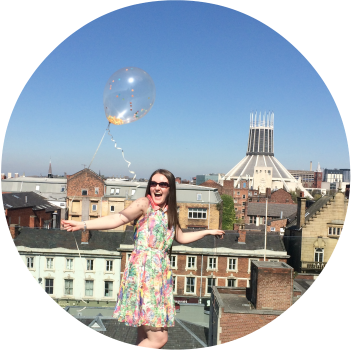 I was so glad I finally got to experience this place for myself and can't wait to find an excuse to go back, especially to try that Sunday roast! What's the best but most unusual thing you've ever had on fries? Ohh this looks so good. I've never tried chicken and waffles together, it sounds ideal though. I need to find somewhere like this in London! Or make an excuse to come up North haha! The food was amazing, I can't wait to go back!